In a medium-large bowl, sift together all dry ingredients. Add wet ingredients and stir until combined, but still a bit lumpy. Don’t overmix. 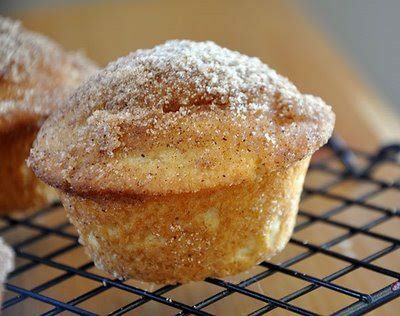 Scoop batter into muffin tins that have sprayed with cooking spray. 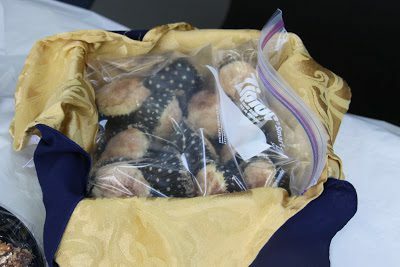 Bake for 20-25 minutes, or until they just start to turn golden at the edges. For the topping, mix sugar and cinnamon in a small bowl. Place melted butter in another small bowl. 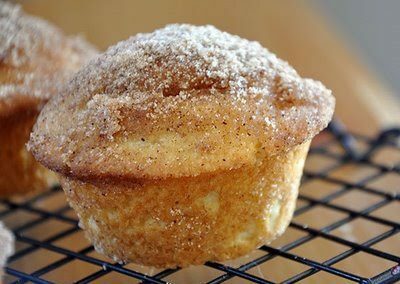 Dip the warm muffins in melted butter, then in cinnamon sugar.